World Patent Marketing Reviews A New App Invention. Will Phonedisc Be the Next World Patent Marketing Low Cost Success Story? This app invention which prevents people from losing their mobile phones! "In 2011, Americans lost more than $30 billion worth of mobile phones," says Scott Cooper, CEO and Creative Director of World Patent Marketing. "By 2013, 4.5 million smartphones were either lost or stolen. 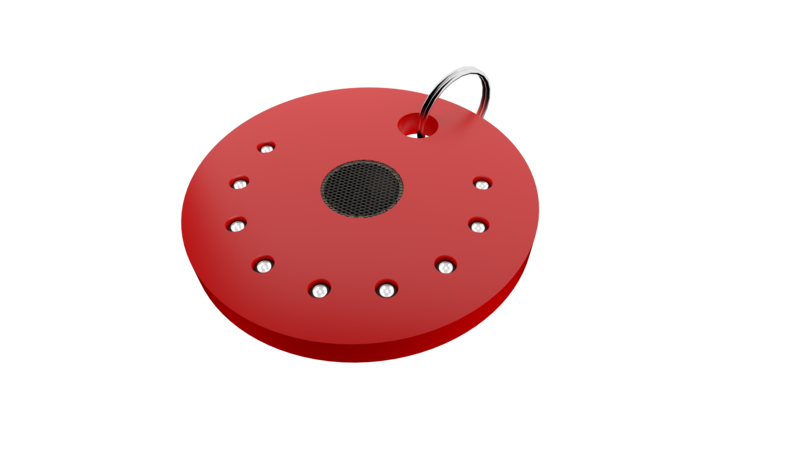 World Patent Marketing, a vertically integrated manufacturer and engineer of patented products, announces the Phonedisc, an app invention which prevents people from losing their mobile phones. "In 2011, Americans lost more than $30 billion worth of mobile phones," says Scott Cooper, CEO and Creative Director of World Patent Marketing. "By 2013, 4.5 million smart phones were either lost or stolen. The incidences of smart phone theft is also on the rise and this is why people should pay more attention to where their mobile phones are at all times." The Phonedisc is an app invention and device which will alarm people whenever their mobile phones are no longer within their near proximity. It consists of an application and a disc-like device which are wirelessly connected to each other. If a mobile phone is no longer within the range of the device, it will automatically set off an alarm, thus instantly informing the person of the misplaced phone. What is great about the Phonedisc is that it is not only practical for mobile phones. Other small essentials such as wallets, house and car keys can also be monitored by this practical invention. The Phonedisc is the ultimate solution to preventing lost valuables such as keys and mobile phones. With this app and device duo, one is immediately informed of a valuable item no longer in close proximity, thus saving a whole lot of time and money. World Patent Marketing Success Stories are made possible because of its A+ rating with the Better Business Bureau and its five star ratings from consumer review sites including: Consumer Affairs, Google, Trustpilot, Customer Lobby, Reseller Ratings, Yelp and My3Cents. A practical invention to have with you every day! Stop losing or misplacing your mobile phones with the Phonedisc! Know immediately when you've left or lost your mobile phone with Phonedisc!